Some Bunny loves you ! . . . . Share the love with our modern Hare print 'The Runners No.1'. 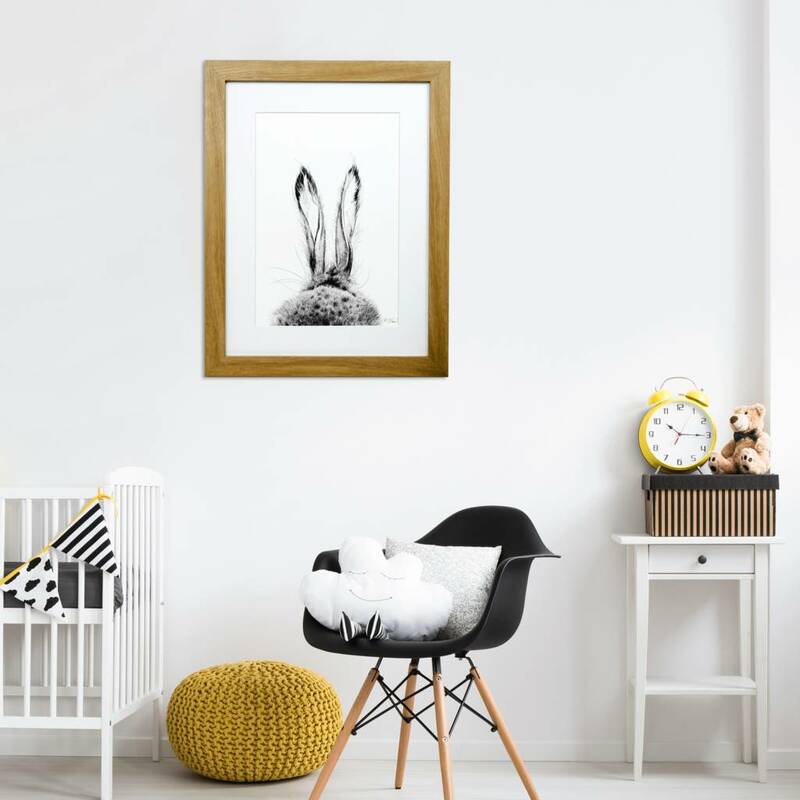 You can lose yourself in this print , trying to imagine what the Hare is thinking, or watching. 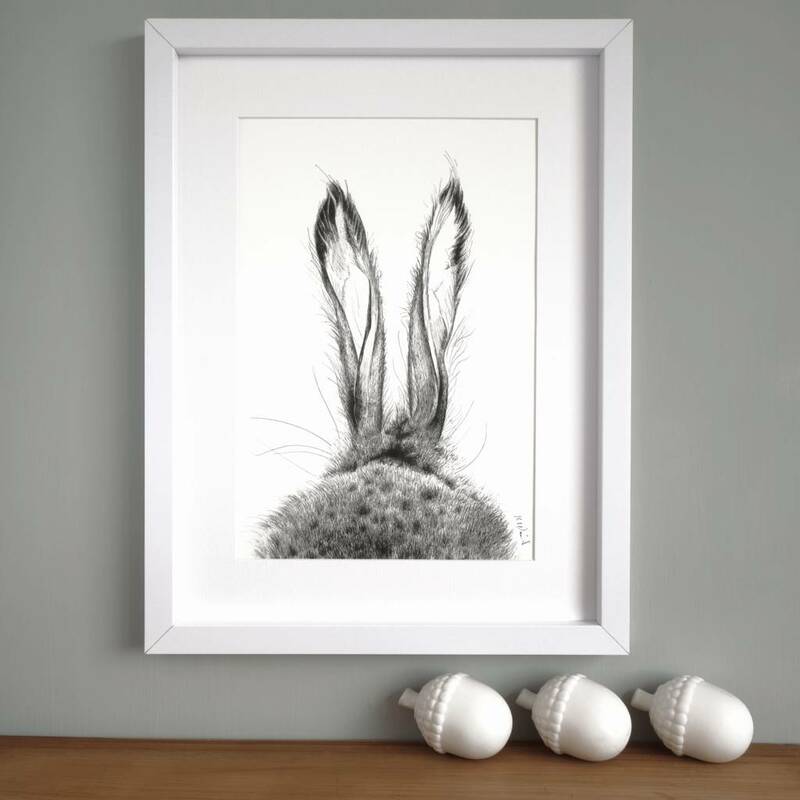 This lovely hand signed wildlife print by artist Kate Daniels would suit any interior. 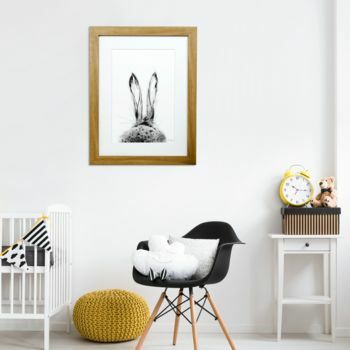 Combining a mix of detailed illustration with contemporary style, making it a perfect addition for your little ones room, or for any lover of wildlife. A truly unique and thoughtful gift for that special someone. 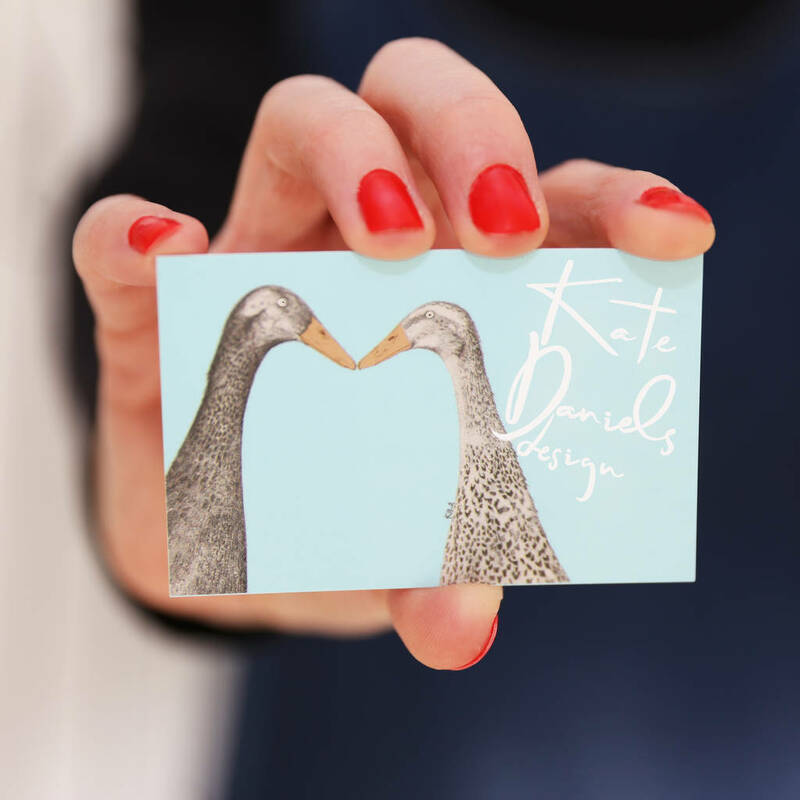 We choose the highest quality archival paper for all our prints and use the latest Giclée printing processes to guarantee light fast archival quality that brings the work to life in a way that is unique, intricate and lasting. 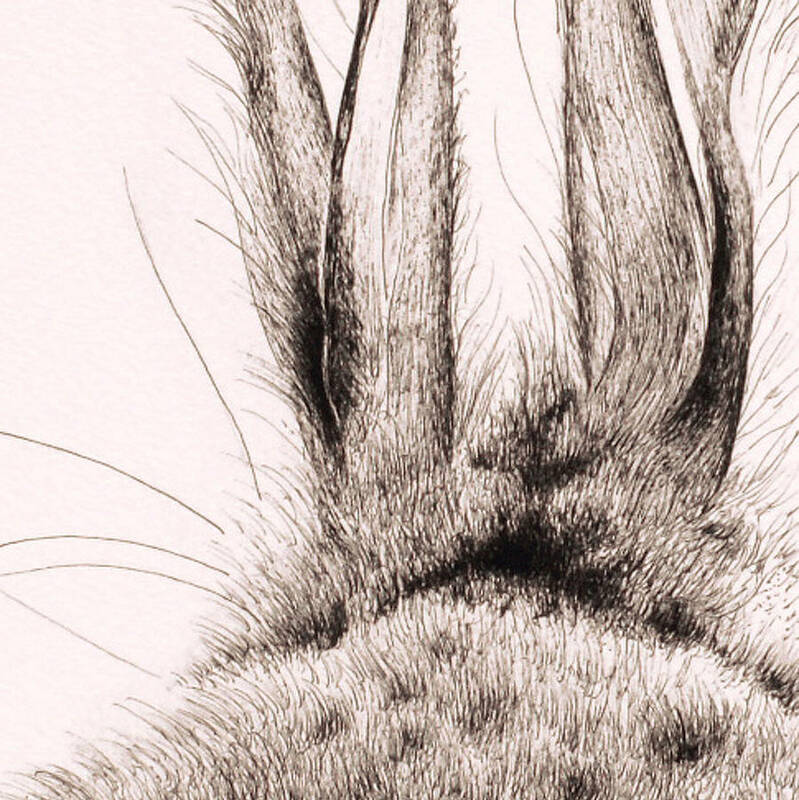 Each print comes pre mounted and hand signed by the artist. For your convenience we also offer the option to have this artwork framed. 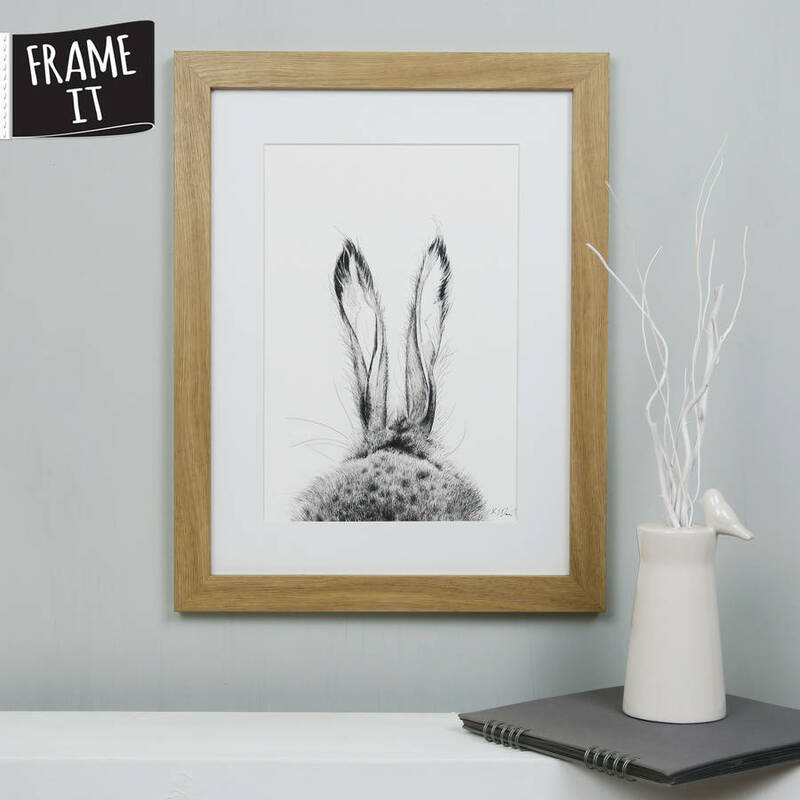 Our modern, matt white or original wood gallery frames are carefully assembled with the mounted artwork, individually wrapped and sent to you in a reinforced box to ensure safe delivery, creating the perfect gift. To select this option please go to the drop down menus above. Paper: matt fine art texture - 310gsm. Ink: light fast, archival quality pigment inks. Mount board: textured antique white. Frame: matt white or original wood. Overall framed product size when choosing our ' Frame It ' option. . .